The Waltham Education & Beyond Foundation (WEBF) was established July 2007 to serve as an important resource in ensuring educational excellence in Waltham. 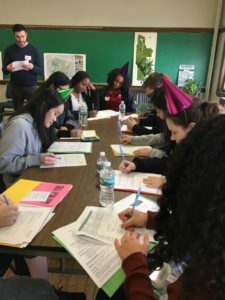 Many of Waltham’s neighboring cities and towns throughout Massachusetts have long-established education foundations which they use to enhance public education. An education foundation is a non-profit, volunteer -based, private, organization that seeks funding through citizens, businesses and organizations. These funds are used to provide students with a higher level of educational opportunities beyond what is available through the school budget. The funds raised by the WEBF will be an important resource for the Waltham Public Schools, serving as a dynamic force to improve the quality of education by fostering teachers’ creativity and students’ academic achievement. Provide resources to support innovative ideas and projects that promote academic achievement, excitement in learning and instruction. Promote new educational ideas and initiatives. Fund projects that benefit the most number of students and teachers.